With around 20 colleges and universities offering accounting degree programs, South Dakota offers a range of high-quality options for prospective accountants. Examples include the University of South Dakota and South Dakota State University ranked 190th and 201st respectively among national universities by U.S. News. The University of South Dakota also boasts a first-time CPA exam pass rate with an advanced degree of 70.7%, much higher than the national average. Although South Dakota ranks among the lower-paying states for accountants, there are many opportunities within the state for accounting students to gain a top-tier education and make their way to a Big Four position. Whether you plan to work in accounting or become a Certified Public Accountant, the accounting school you choose will be the place where your career starts. Choose carefully, as the program you attend can strongly influence your employability – and your likelihood of getting your dream job! The ideal accounting program will be AACSB-accredited and nationally recognized for its teaching excellence. Major firms such as the Big Four tend to target graduates of prestigious programs, so try to find out what recruiters are present at the careers fair of the school you are considering. Graduate employment rates are another clue as to the program’s efficacy. The next step is to look at the content of the course you will attend. You are looking for a blend of rigorous teaching and varied hands-on experience, so check CPA exam pass rates, student awards, faculty qualifications and student feedback to make sure the course is right for you. A comprehensive curriculum should be supplemented with experiential learning, extra-curricular activities, volunteering programs and internship opportunities to help you shape up your resume as a student. Finally, remember that hard work pays off and that enrolling in a prestigious and difficult course today will make challenges easier tomorrow – especially in a demanding field like accounting. An accounting career can take many different paths, but they all have in common a mixture of stability and job satisfaction that is hard to come by. So if business and finance are your strong points, becoming an accountant could be the best decision you ever make. To work in accounting, you will need to complete a four-year Bachelor’s degree. However, if your goal is to become a Certified Public Accountant, you will need 150 college credits with an accounting and business concentration. These credits are usually completed over five years and may include both a Bachelor’s and a Master’s degree. You will also need to gain one or two years of full-time accounting experience under the supervision of a licensed CPA before you can work as a CPA, depending on your state’s requirements. Finally, you will have to pass all four sections of the Uniform CPA Examination, as well as an ethics examination, before you can apply for your CPA license. 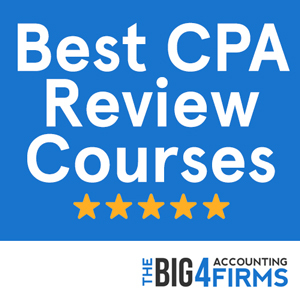 It is thus essential to enroll in a high-quality accounting program that can prepare you for the CPA exam, as well as for the challenges that lie ahead in your career. South Dakota applicants need to complete 150 semester hours of college education before they can sit for the CPA exam. This must include a Bachelor’s or higher degree in accounting, with at least 24 hours in accounting courses and 24 hours in business courses. 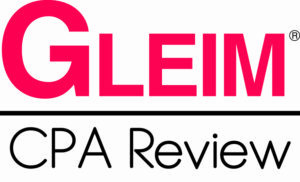 Candidates need to pass the Uniform CPA examination, as well as the AICPA ethics exam. The latter needs to be passed within 90 days of meeting the experience requirement, which consists of 2,000 hours of accounting experience. The experience must be gained in no more than three years and must include 375 hours in audits, compilations or reviews. North Dakota and South Dakota rank lowest in the North of the country in terms of accounting pay levels. South Dakota falls below the national average, with a mean annual salary for accountants and auditors of $58,620 in 2013. However, the highest paid percentile of accountants earns $82,730 on average in this state – it all depends on qualifications, experience, career path and location. Thriving areas such as Sioux Falls or Rapid City pay higher than others, with an average of approximately $62,000 and $59,000 respectively. On the contrary, accountants in non-metropolitan areas tend to earn less, with averages falling below $54,000. There is a wide variation in the field of accounting, but opportunities abound for motivated accountants to secure a high income. Dakota State University offers a Bachelor of Business Administration degree designed to prepare students for a successful accounting career, including the CPA track. There is a Professional Accountancy option that may suit students who wish to complete more credits. The Dakota State University program boasts small class sizes and excellent technology packages on site including QuickBooks, PeopleSoft and TurboTax. Students are taught by experienced faculty members with public accounting experience. The school also boasts a thriving on-campus life with student organizations such as SIFE (Students in Free Enterprise) and the Phi Beta Lambda Business Club. Ranked 86th among Midwestern universities by U.S. News, Dakota State University offers a good public education alternative for South Dakota prospective accountants. Low tuition fees and a rural setting in Madison, South Dakota make DSU an attractive choice for students who wish to network and seek placement opportunities in the area upon graduation. The AACSB-accredited Beacom School of Business at the University of South Dakota offers a well-regarded accounting program with high CPA exam pass rates. Ranked 190th among national universities by U.S. News, the Vermillion-based university features a Bachelor of Business Administration in Accounting, as well as a Master of Professional Accountancy degree. The learning experience at the University of South Dakota is complemented by unique opportunities such as the Arthur A. Volk Symposium, which brings together business professionals, scholars and students every year. The school also organizes a Summer Accounting Institute for high-school students. Beacom School students also benefit from the opportunity to study abroad, as well as participation in student organizations. Hands-on experience, networking and leadership opportunities are what complete the USD experience and take it to the top of South Dakota accounting education. Graduate students wishing to qualify for CPA certification can pursue the online Master of Professional Accountancy that offers high quality and accreditation with maximum flexibility.